Gift Membership vouchers are available to buy online for all of our memberships. Gift Membership vouchers can be redeemed for a year of membership at any point for 12 months after the date of purchase. The voucher will be created for the recipient, which you can choose to be emailed to yourself or to the recipient immediately. Alternatively, for Priority Membership and above, we can post a Gift Membership pack to you which you can then pass on as a gift (if you choose this option you do not need to complete the email fields below). Please note that postal delivery can take up to 10 working days and it's now too late to have a Gift Membership posted in time for Christmas/New Year, but you can still arrange to have Gift Membership emailed to your recipient. 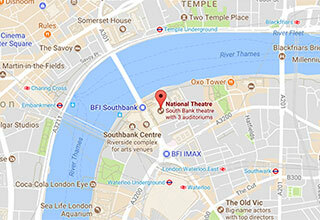 Priority and Young Patron memberships are also available to purchase in person from the National Theatre Bookshop. Find our opening times here. For more information, please call our Development Department on 020 7452 3254.